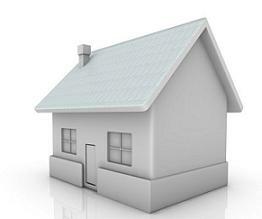 The stages of a real estate market are most often recognized only after the fact. Even when all the historical data confirms that a downturn is in progress, most speculators won't stop gambling. Real estate speculators call themselves investors because they believe they are taking calculated and controllable risks when purchasing homes. In the mid to late 1990's real estate investing was virgin territory because it was easy to use formulas of 60% to 70% of Fair Market Value minus repair costs to determine an offering price for a seller. The "chant" was "Get as many properties under contract because they can only go higher!" In the earlier years, buying properties cheaply enough allowed them to be rented and they supported themselves while the investor simply collected checks. In only three years, a groundswell of speculation led to frenzied buying. Families looking for a home to live in got caught up in the buying panic because of the scarcity of homes for sale. The market quickly and efficiently climbed with the help of lending institutions who were offering low interest rates, 100% financing, with no proof of the buyer's income. Almost no other speculative opportunity in history caught on as fast because of real estate investors needing little or no money down and ease of loan qualification for "retail buyers". Even when many of the potential borrowers had credit issues and minimal down payments, the lenders created more lenient loan requirements. The number of single family homes that were owned by investors rose from 2.5% in 1995 to almost 29% by the end of 2006. Effectively, these investors took away at least 26.5% of available single family homes with the intent of selling them at higher prices to retail home buyers. Stage #1 – This is where supply closely equals demand and home prices fluctuate between +/- 3% per year and prices are basically stable over a five year period. Stage #2 – Here demand out-strips supply, or a "sellers' market" develops because of fewer homes on the market. This can be created by investor speculation. Stage #3 - Here demand far out-strips supply with resulting large annual price increases. Homes now offer new speculators more attractive yields than stocks and money market instruments. More so called "investors" begin buying multiple properties with expectations of selling for huge profits because of the low down payments required for mortgages or using creative financing. The market begins to feed on itself as homeowners begin to rush to take profits. Stage #4 – As home prices become unaffordable, interest rates increase making financing costs too expensive for homeowners to purchase, and investors have inventory that can't be sold. Seemingly everyone tries to sell and the market readjusts to former market conditions by pulling back as much as 30% to 60% of peak values as the market begins to stabilize for 3 – 8 years. Summary - Based on the current market conditions and continuing available data, the real estate market is well into Stage #4. There is no way to determine how long this swing will last but historically they have lasted for 6 to 15 years. This stage offers huge opportunities for real estate investors and homeowners alike that want to purchase homes either for living in for 5 years+ for homeowners, or for "flipping" for investors. Both homeowners and investors looking to buy a property need to be very selective about how much they pay for a property, the amount of costs to rehab it, how they will be financing it, how long they intend to stay in it, the carrying costs, other properties currently listed on the MLS®, and neighborhood conditions. Unfortunately, retail buyers who wait to get the lowest possible price often wind up paying higher mortgage rates which offsets the cost savings by waiting, especially when you include their cost to rent, and the interest tax-deduction that they lose by not owning. Investors will have to buy low and sell low, while the retail buyer has become "king of the mountain" in picking the best possible home for the lowest price.